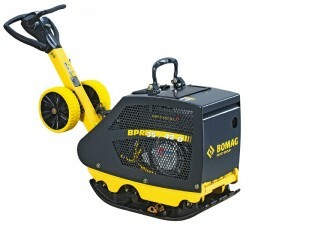 You get superior performance from the 14 model line up in the Bomag Reversible Plates range. Fields of application: Earthwork, asphalt and paving applications for construction of roads, forestry roads and railtracks, backfills, trench and sewer line construction, landscape gardening, interlocking paving stones, foundations. 400-950mm working widths. Catering for Manitou, Winget and other construction dealers.